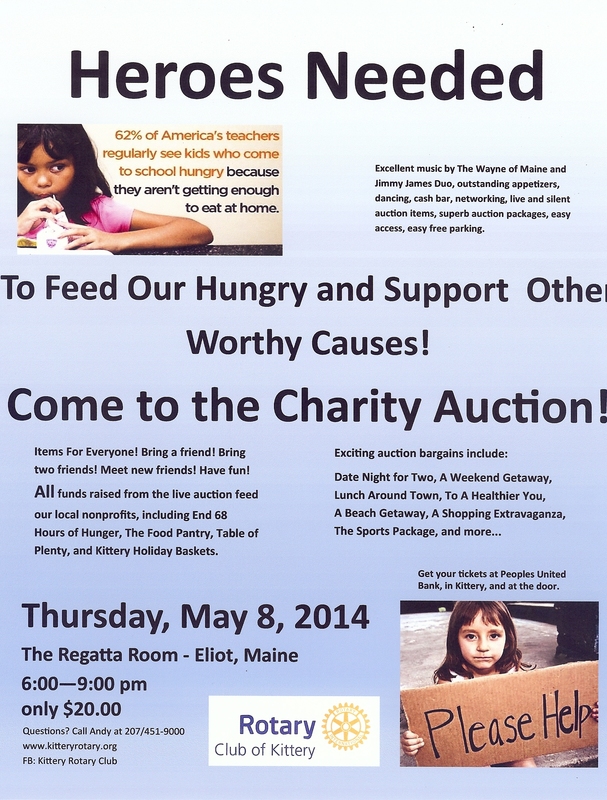 Join us at our Annual Auction which is our major fundraiser. To see what items we have to date go to www.kitteryrotaryauction.com. 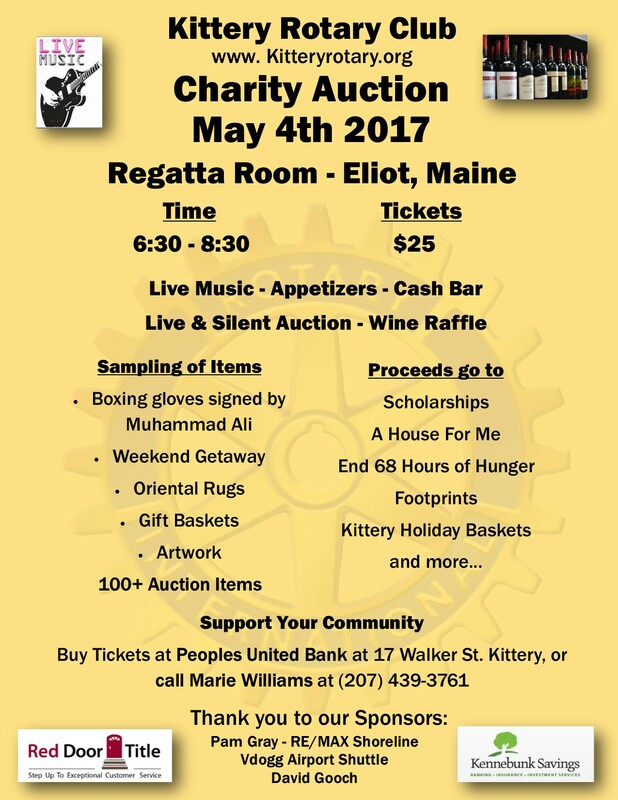 We do a live and silent auction. Tickets are $25 per person. 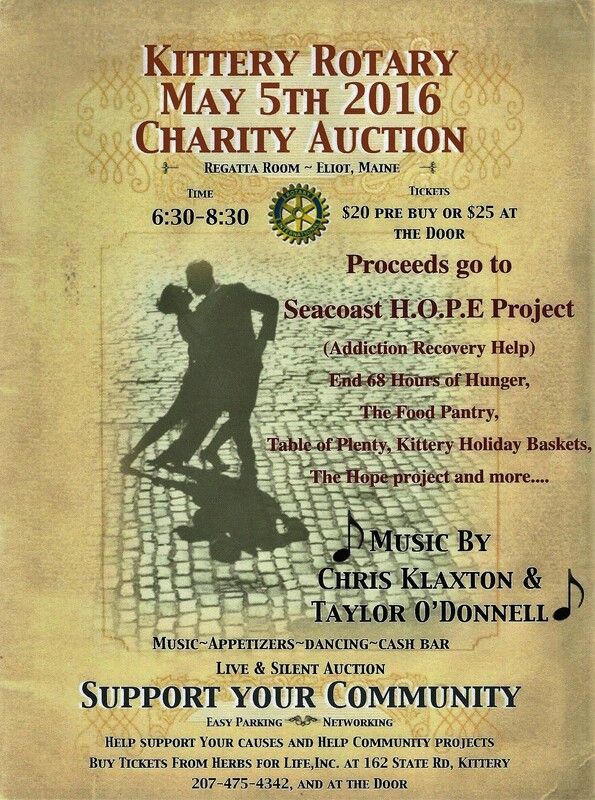 in our community as well as many other services in the Town of Kittery. Want to see pictures of some of the items we have in this years auction? Click here to see some of our great items! Pictures of some of our great auction items will be up soon. Please check back. 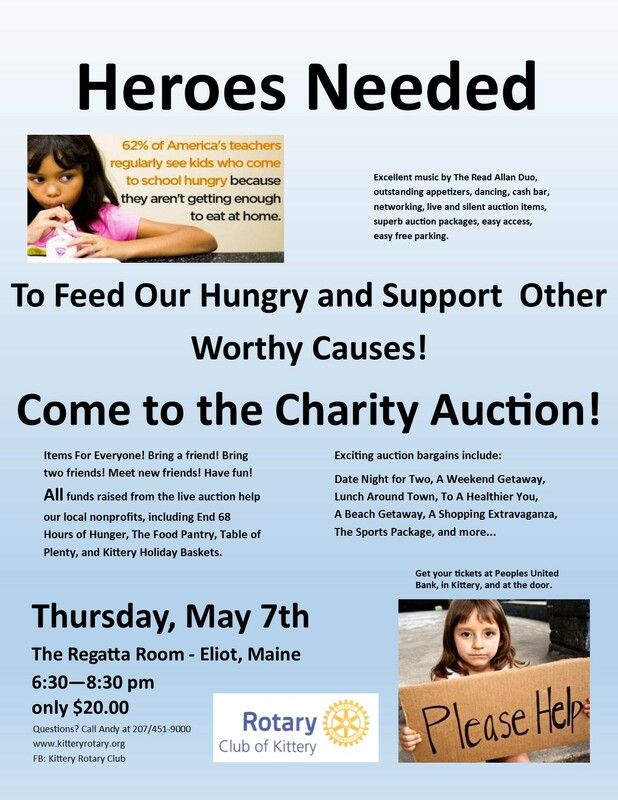 Additional Sponsors for 2017 - Glazier Builders, Ltd.
Thursday, May 8, 2014 - Charity Auction HUGE success!!! Many balloons were blown up in preparation for our Charity Auction in the evening! 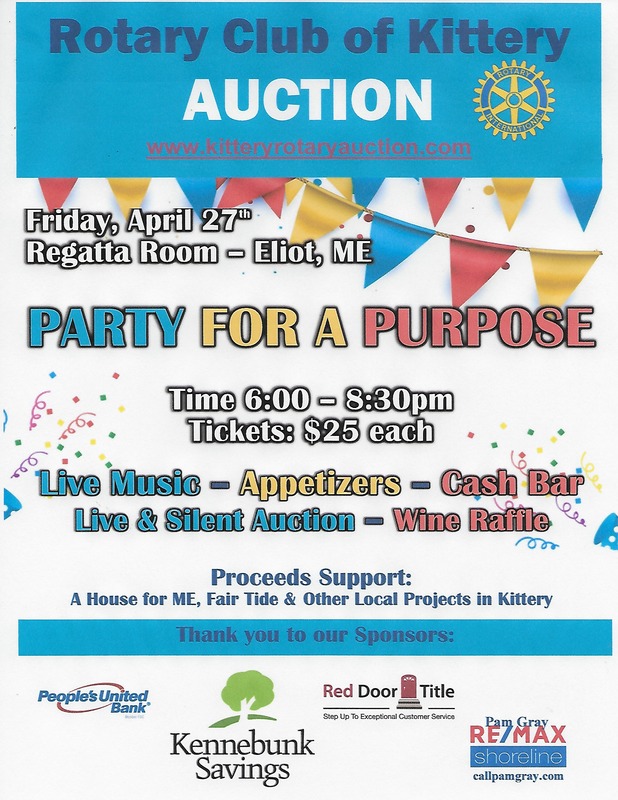 decide how to best sell the kayak - live or silent auction - live won out! Rotarian John trying out the bike helmet & kayak Entrance to the auction! paddle before they go up for bid! More Attendees! Rotarian Melanie overseeing the wine raffle! Doris Hatch & Jesse Dumais busy selling 50/50 raffle tickets. Ruth Clark was the lucky winner of $143.00! Great entertainment by Wayne Read & Steve Allen known as Read-Allen Duo of Kittery, ME. They were GREAT!? 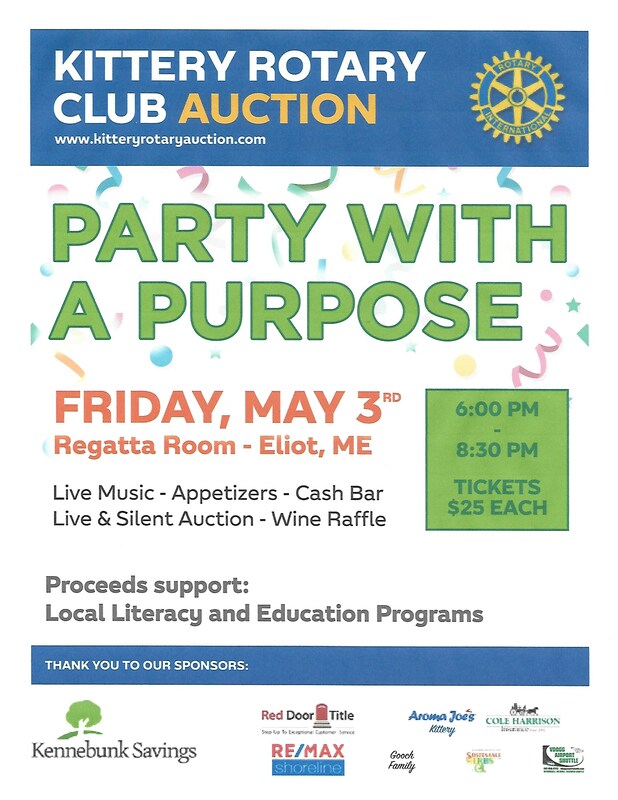 Purchase tickets at Peoples United Bank Kittery or call Marie at 207-439-3761.